Project lead and producer for a series of customer videos and customer-focused content for Asana's segmented marketing campaign. 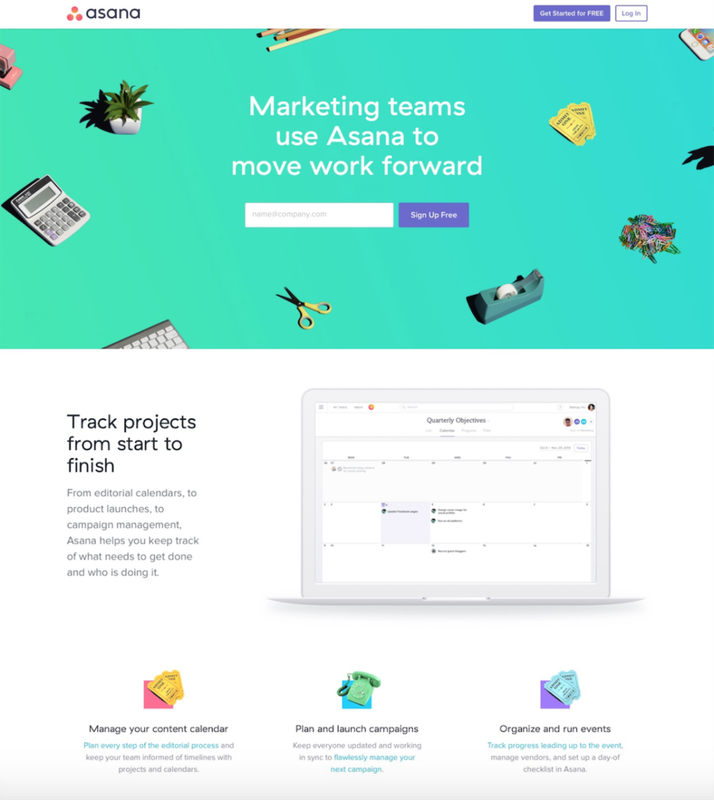 Before this campaign, Asana had primarily used broad targeting in marketing efforts--targeting team leads in many types of organizations, on every type of team, in English speaking companies globally. In 2016, we experimented with marketing campaigns that targeted specific team types. Our test segments were marketers, product managers, and executives. I produced nine customer videos and created customer content that supported this segmentation strategy. I managed the video team, all customer relationships, storyboarding for each video, and the plan for distribution. These videos were built to live on ad landing pages specific to each team type (like this one here). They also had wide distribution on social and found a permanent home on asana.com/customers. I also wrote a few things for our blog to get folks excited about using Asana for marketing, product management, and leading teams. We worked with the indomitable Nick Kova to shoot these videos. Thank you for the coffees and for always letting me yell "ACTION!". Like all things at Asana, it took a ton of teamwork to pull of this off. Extra special shoutouts go to Amanda Buzard, who designed all assets for the campaign, and Reigan Combs, who managed the sum of our segmentation efforts.